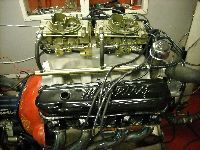 2 new marinmotors for sale. 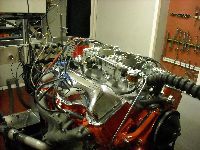 The place where you will get proffesional help with your motor! We build and repair motors for race, street and marin. 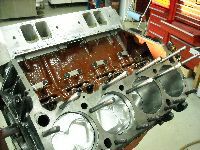 At Konolaracing you can repair your motor or buy a new one, repair your carburators, or get headservice. 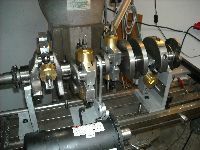 Want a custom-made intakemanifold? Tell us what you want - we can solve most of it. If you just want to Dynotest your motor, thats fine as well. 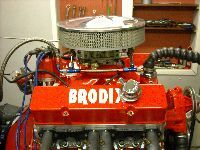 All our motors are dynotested before delivery. We have more than 30 years of building motors. Have competed 21 years in dragracing. 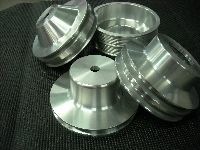 New design, serpentine pulley kit for Chrysler BB. Even custom designe.